Let me tell you a secret. I am the worst, worst, WORST, self tan applier known to man. I panic. I sweat. I spill tan everywhere. It is quite a stressful experience – and don’t even talk to me about when the stuff actually develops and I see the awful results. I have a friend with pink hair and a sexual tan and her name is Laura Lou. The tan is not hers, oh no, it belongs to Xen Tan. A while ago I picked up a Xen Tan Transform Daily Self Tan, thinking I could pull off a healthy, head to toe bronzed glow, just like my friend Laura here, and I nearly nailed it. I always mess up my hands and feet, oh and have white patches, but even so, Xen Tan was still by a long shot the best experience I had had to date. 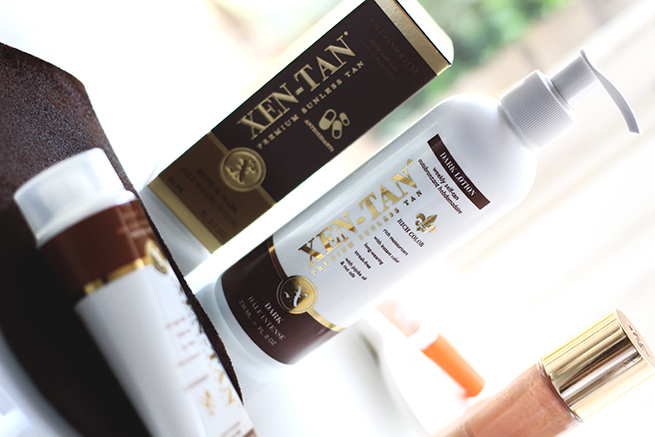 With this new found confidence, I thought I would delve into the deep, darker end with Xen Tan Dark Lotion. This stuff, is, dark. I knew I would love the formula, what with the promise of it being streak – free, long lasting and super moisturising. Plus, it lasts a long time, like a week guys. Even with the security of jojoba oil and nut oils to sooth my soul, I was still freaking out about applying this. I want to be tanned, I just do not like the process of tanning. Exfoliate every day for one week before tan application – Shave your areas 24 hours before application – Moisturise your knobbly bits – Soak your hands in moisturiser, so they are practically dripping – Always, always use a mitt. So with all of this advice in mind, I did it. And you know what, I gave myself a jumping high five. I may have even played some celebratory air guitar. When I woke up in the morning, not only was I dark, but my white sheets had zero marks on them, and I smelt good. None of this dog biscuit malarkey here folks. Not one single streak and even my hands were perfect. My house mate has given me numerous compliments, and most importantly, the tan looks natural – not fake. 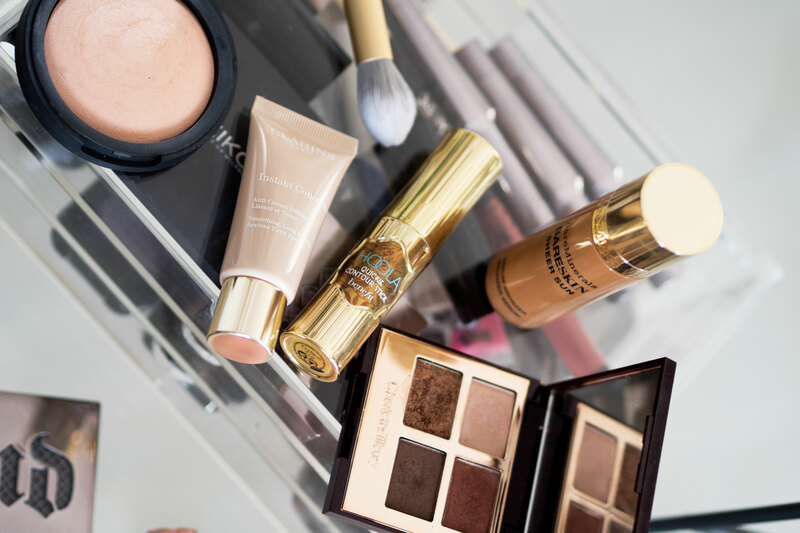 Want to get your hands on this glorious stuff? Marks and Spencer have an offer running throughout July (1st-28th) both Online and In Stores, where if you spend £25 on Xen Tan you will receive a full sized bottle of Xen Tan Dark Lotion – fo’ free. If you want you can run along to make a purchase, or, you can enter my giveaway. 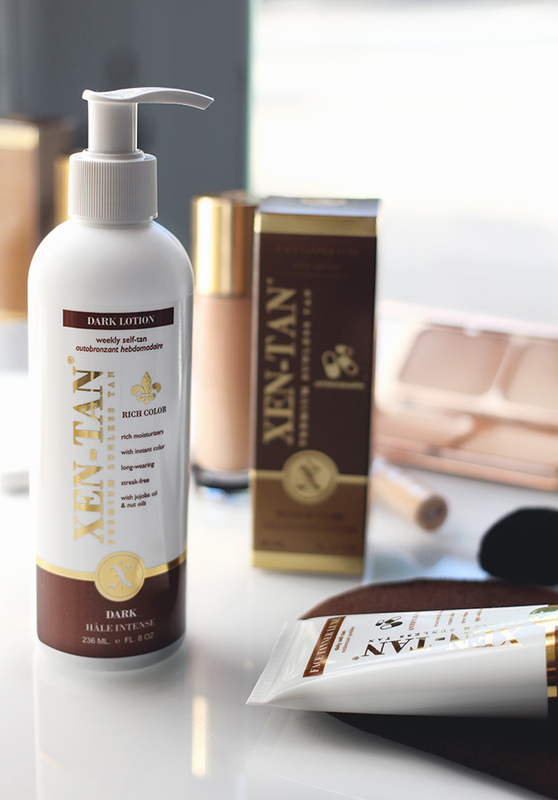 That’s right, I am giving away 10 bottles of Xen Tan Dark Lotion & A Tanning Mitt. 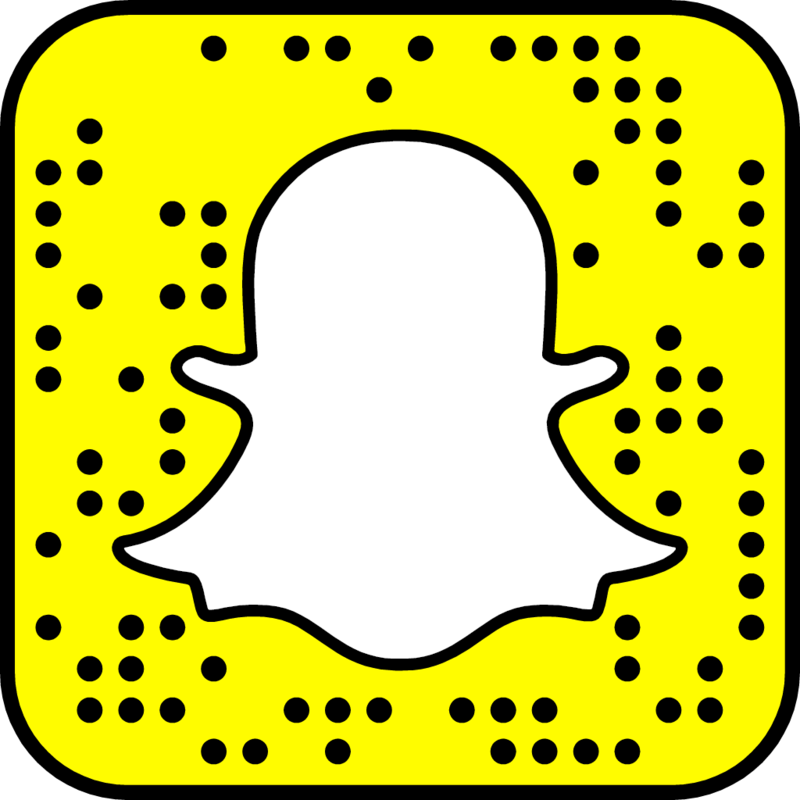 3) Leave a comment ! I will be running this competition for a fortnight and the winners will be picked at random!